Vegetable garden pest control - learn the strategies that work for me. In my experience garden pest control is three fold. It is accomplished by having healthy soil, using good garden practices and taking the time to walk through your garden and observe. Healthy fertile soil will help feed your vegetable plants. A clean garden helps to keep any pests or disease from spreading into other areas and on to other plants. Taking the time every few days to observe your garden enables you to be aware if there are any problems and intervene quickly. Here you will find information on specific pests , insects , and disease . Do not till your soil if it is too wet. Is your soil deficient in any essential nutrients? A soil test will help you with this. 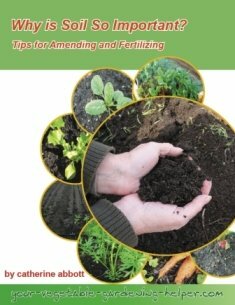 Add in amendments and fertilizers if your soil requires more nutrients. Nutrient deficient soil can cause problems by attracting insects and disease. Green manures can discourage certain pests and can improve the health of your garden soil. Dig your garden soil in the fall to expose insects, larvae and eggs so they can be eaten by other insects and animals. Keep your garden clean by removing garden weeds, trash and destroy any diseased plants by placing them in a garbage bag immediately after pulling them. Do not carry them from one area to the next or you may spread the problem. Keep your tools clean and sharp which makes them easier to use and keeps you from spreading disease throughout your garden. For garden pest control encourage beneficial animals and insects with companion planting . Rotate your vegetable crops . This will help decrease disease causing organisms to build up in your soil. Do not mulch if your soil is cold and wet, this will only encourage mold and diseases. Keep your vegetable plants healthy. 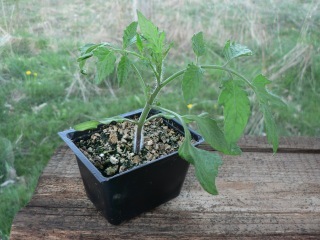 Only plant healthy transplants and seeds. Choose varieties that are pest and disease resistant for your area. Check your seed catalogs for this information. Try not to injure roots when transplanting or weeding your vegetable plants. Do not crowd your plants, they need room around them for air circulation which will keep them healthier. Give your plants enough water; most vegetables need at least 1 inch of water per week. Water stressed plants attract pests, insects and diseases. Do not over fertilize your plants. Record in your journal when and how much you fertilize so you can check back. 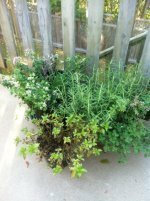 Every few weeks is usually sufficient to keep plants healthy. Handpick and destroy bigger bugs; use a stream of water to dislodge tiny bugs from your plant's leaves and stems. Use physical traps and barriers, like cutworm collars and mice traps. For garden pest control you want to attract pest predators to your garden like birds and ladybugs. Use natural sprays like insecticidal soap. If you find a problem you need to observe the entire plant and those in the area. Is only one plant affected? Is the whole row or area affected? Is the problem random or is there a pattern? Is only new growth affected? Are leaves or stems affected? Check the undersides of leaves, stems and flowers looking for eggs, webs or holes. Can you see any insects or bugs? If you cannot identify what they are or what is happening check with your local nursery or other gardeners to help you find answers. Once you have made a diagnosis of what could be wrong it is time to develop a garden pest control plan. Choose an organic solution! This will keep your soil healthy which is one of my strategies to control pests, insects and diseases. Even if you cannot find out what is wrong it is important to give your plants the best care you can which is often all they need. Try giving them some fertilizer . Keep an eye on the plant and if it does not come back pull it out and destroy it. If other plants are being affected pull the stem and roots of all the unhealthy plants and then replant the area. I recommend you keep a journal during the season. Make notes of what the problem is, what you did to control it and the result; good or bad. This way you can refer back next season to see what worked or did not work if the same problem comes up. Keep in mind that a few problems will not be the end of your garden. Learn more about specific pests , insects , and disease that you may have in your garden.